Win a copy of my debut recipe book “Chocolate treats: decadent delights free from the top 14 allergens”! What is the number 1 allergy-related problem that you wish you could solve tomorrow? *Entry is open for international participants. The winner will be emailed upon close and then I’ll post out your prize! I can’t believe after over a years worth of work my debut recipe book “Chocolate Treats: Decadent delights free from the top 14 allergens” is now available on Amazon.co.uk AND Amazon.com!! I am SO excited proud and thankful to everyone who had a hand in getting this book published and that includes you EAS community! Thank you to the very first people to email in with recipes requests and suggestions, it was you who got me on this path and inspired me to create more. Thank you to those of you who bought the first edition back in December 2017! I couldn’t quite believe it when the first orders came in. As a thank you, in today’s post I am going to give you a little preview of what you will find in the book including: the key things to make great chocolate treats that are free from the top 14 allergens, a little bit about my favourite recipes as well as a GIVEAWAY!! Dark chocolate naturally shouldn’t contain dairy but you will often find that it has a warning label due to cross-contamination risks. As such dairy free dark chocolate works in basically the same way as ‘normal’ dark chocolate. Dairy free ‘white’ chocolate on the other hand is a complete diva! The number of times I have ruined a batch during melting or thinking that I could leave it for a bit like I do the dark chocolate is unbelievable! The dairy free white chocolate requires constant attention, hence the Diva tag. The key to melting dark, and especially white chocolate is to use the Bain Marie method. A Bain Marie is when you melt chocolate in a heatproof bowl over a pan of barely simmering water. The rising steam from the water gently heats the underneath of the bowl. While you stir the chocolate it will melt evenly without getting too hot. If chocolate gets too hot it will separate. This is especially true when it comes to dairy free white chocolate, it has to be stirred constantly! It’s lack of cocoa solids is part of the reason for this, it is more unstable than its dark counterpart. So, being the diva she is, she must have constant attention (I.e. stirring) to keep her silky smooth once melted. In my recipe book I have a whole section talking more in depth about the characteristics and techniques for working with chocolate and how to get the most out of it for your bakes. In many of the recipes I use a combination of gluten free flours in various recipes. Each gluten free flour has its own properties, some are starchy, others are sticky when mixed with water, others are just thirsty little things. However when mixed in a various combination they create different textures in the bakes. For example, in my Chocolate Fudge Cake I use combination of rice flour and tapioca flour. Tapioca is a starchy flour made from the cassava root, when mixed with water it can be used as a thickener in savoury foods such as soups and stews, but for baking it can create a sticky texture in a batter when baked. Perfect when you want your fudge cake to be a thick chocolate sponge! In many of my cakes I like using coconut flour. In the UK, coconut is not included as a nut in the top 14 allergen list. It is also one of the gluten free flours I can eat (as I am allergic to peanuts and tree nuts). I like that it has a sweetness all of its own which means I don’t have to add a huge amount of sugar to cakes. Not only is too much sugar not good for you, I found in a lot of store bought free from cakes the amount of sugar is horrendous! I also find you get a clawing after taste when there is too much sugar in the recipe and it just tastes a bit fake…not pleasant at all! The coconut flour also has a very light texture, almost fluffy. I mix it with rice flour or tapioca flour in various recipes to add texture to the cake. I find the sponges come out lovely and light! Even my non-allergic friends think so! Baking with No Eggs…How do you get cakes to rise?? Now this is something that wasn’t actually as hard as you may think. I use a combination of gluten free baking powder, bicarbonate of soda and vinegar to create the rise in my bakes. A bit confused as to how or why this works? Well, think back to your school science projects, particularly how you get a volcano to erupt. The ingredients you would use are vinegar and bicarbonate of soda. The vinegar and bicarb react and create a fizzing and this is what happens in the bakes too, hence the rising. I always like to find the natural way to make food and my general food philosophy is you should be able to eat each ingredient individually, so random replacers are not my favourite. Vinegar and raising agents on the other hand are a good option and they work. I use different quantities depending on the size of the cake, but don’t worry I’ve specified exactly how much in each recipe. I have a couple recipes in this book which are my favourite: Sweet Potato Brownies, Date Orange and Chocolate Truffles and the American Style Chocolate Chip Cookies. In reverse order, the Chocolate Chip Cookies took quite a few tries to get the recipe right (I burned quite a few batches and some others just fell apart). I had a real sense of triumph when I got it right! Not to mention the taste is brilliant! They are crispy on the outside and gooey on the inside, my version of an American Cookie. The Date Orange and Chocolate Truffles was a recipe I dreamed up 3 months before I actually finished it. It just kept going round and round until I actually finished making them. Then once I did the taste of the fresh orange came bursting through with the sweetness of the dates and the richness of the chocolate I could just keep eating them all day! Finally the Sweet Potato Brownies, again took a couple tries to get right. The first time it just went hard and burned, the second was slightly better but still not great and then I got the ratios of ingredients just right and they were perfection! They were bouncy and SO chocolatey, even 3 days after I made them (because I couldn’t get to photograph them until then). My other half and his brother (who has no allergies) helped me taste test them and we finished the brownies in one sitting, they were that good! If you are thinking of birthday or Christmas presents, or just a recipe book to add to your collection I would of course highly recommend my Chocolate Treats recipe book (how could I not?!). I’ve aimed it at anyone who loves to bake, has multiple food allergies or wants to bake for someone with food allergies. All the instructions are easy to follow and you don’t need to buy any fancy equipment! I started off allergy free baking while I was at university so I wanted to keep it so that you could do it in any kitchen with just a bowl, a fork and an oven at the most basic level. Along with the recipes I have also added lots of information about living with allergies, as well as links to resources that may be useful to you. Its about choosing to make allergy living your lifestyle choice rather than just something that was forced on you. I’ve found that making that choice makes it more manageable and absolutely more fun! I wish allergies were clearer. I wish it was obvious if my toddler was having a reaction or just ate something spicy and thinks it’s a reaction because his tongue is tingly. I wish the difference between a cold and hayfever was more obvious. I wish I could tell by looking at him whether he needed his medication or not and whether he needed piriton or his epi pen without the doubt. I wish his multiple allergies didn’t mean there were so many things he couldn’t do with his friends. And of course I wish we could all just eat anything anywhere. I would like mandatory rules for manufacturers to disclose whether or not their products are made on shared lines or in a shared facility with top allergens – or other foods. (We have some uncommon allergens.) 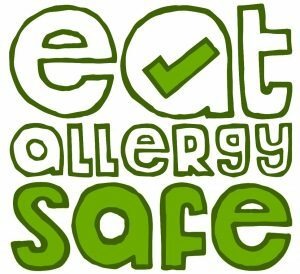 We eliminate many companies because they won’t tell us the allergen information that we need. Gluten. I think it’s one of the allergens that is getting best known lately and affects to many grown-ups and children. Universal language or signs to explain and understand allergies so eating out in a non native country was safe. Do you can enjoy your holiday like non allergic people rather than avoiding activities to simply stay well. The lack of on-the-go or eating out allergy-free/allergy-safe food. When people do not understand allergies or their severity. More education is needed to be publicised!! I have a 2 year old daughter with 7 of the top allegies (needing epipen) and also to lentils, red peppers and others and the struggle to find suitable childcare/ restaurants and supermarkets that can cater for this safely is so hard and limiting for her and I. Awareness and understanding. If more people (typically those without allergies) knew and understood about them – there would be a big cultural shift. People would then understand the severity of allergies (not just nut allergies) and that epi-pens can’t just fix everything. If more people took it seriously there would be less chance of cross contamination when eating out and buying processed foods. That pre-packed allergen free foods were not loaded with sugar and fat. I want the convenience but I also want it to be healthy and tasty. That all ingredients lists have allergy’s in bold or a symbol that must be used to show allergen free eg the gluten free symbol. This should be law. Why supermarkets don’t have nut free ranges.